Pidi Vilakku is an incredibly beautiful variety of oil lamp. 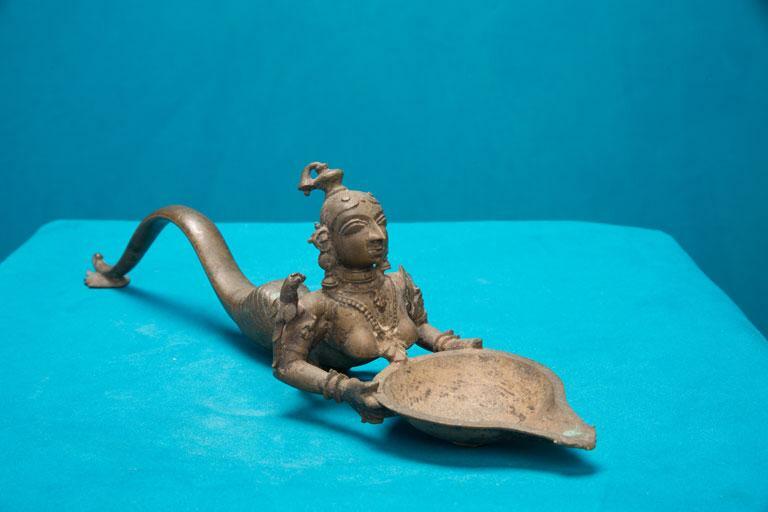 This is a hand held lamp in the shape of a Garuda holding a vessel. Garuda is a mythological character who is depicted as the vahana (mount) of Lord Vishnu in epics. The vessel that Garuda holds provides space for the oil and the wick. Garuda is seen bedecked with ornaments and also a parrot sits on his shoulder. The lamp has a holder (pidi).